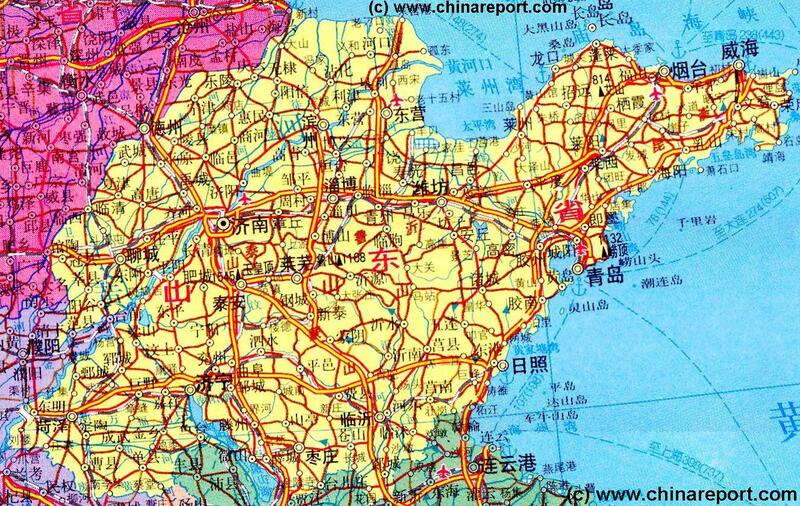 This Geographic Map gives an complete overview of Shandong Province, including neighboring area's of Hebei Province, Jiangsu Province and Henan Province of China (P.R.C.). Map + Description are Under Construction ! Please follow the Links from each subject or City, to find additional information.